Xander DeWitt has a true passion for solving mysteries, however, when one case is too big for him to solve on his own, a little help from investigative reporter Kenzie Messina will definitely do the trick! Nickelodeon’s brand new, original movie, Bixler High Private Eye brings a whole lot of mystery onto our TV screens as it premieres on Monday, January 21st at 7:00 PM ET / PT. 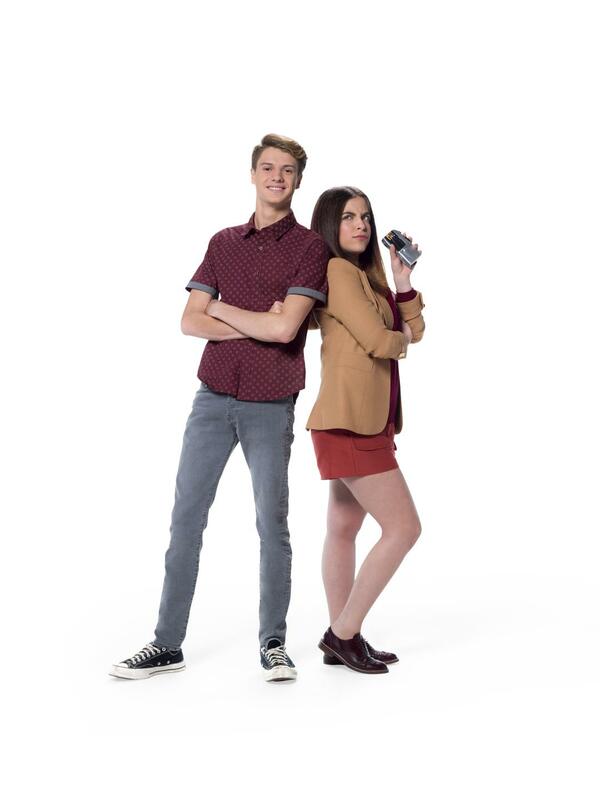 The outstanding film stars the incredible, Henry Danger star Jace Norman as Xander DeWitt and the fabulous actress, singer and author, Ariel Martin (aka “Baby Ariel”). We seriously cannot contain our excitement to see our two faves star in a movie together. Bixler High Private Eye is Norman’s fifth starring role in a Nickelodeon TV movie, however, this film is extra special for him as it also marks his debut as an executive producer. Combining Norman’s and Martin’s massive fanbases, Bixler High Private Eye is bound to be a great hit amongst everyone and we are super thrilled to see these two showcase their unrivaled acting skills in this spectacular film. To get everyone even more excited for the movie, Norman shared a clip of some bloopers from working on Bixler High Private Eye in the Instagram post below. Martin shared her enthusiasm over the film’s premiere by posting a video montage of her fun time working on set as seen below on her Instagram account. Be sure to grab your friends, family-members and some popcorn and don’t forget to tune in to the premiere of Bixler High Private Eye on Monday, January 21st at 7:00 PM ET / PT on Nickelodeon. Check out the official trailer for the movie below! Previous Article: Meet The Pets Nominated For “Cutest Musician’s Pet” At The 2019 iHeartRadio Music Awards! Next Article: Get Ready For Tons Of Mystical Adventures In Nickelodeon’s Brand New, Animated Series “Rainbow Butterfly Unicorn Kitty” Premiering On January 27th!